Racebooks are a great way for any US bettor to enjoy the action of horse racing and the ability to place real money wagers on different races from around the globe. While nothing can truly compare to a day at the track, online racebooks do have some amazing incentives that will lure bettors. There are awesome track odds, rebates on betting action, video races and even tips and advice for new bettors. Betting at a racebook online is similar to any other form of gambling and there are certain precautions that bettors will have to take. For those that are from the US, there are additional concerns in regards to banking options and site legality when betting at off shore sites. USA based horse betting and wagering is completely legal by federal law, but there are some states that have legal restrictions that will make it difficult for residents to place these wagers. Each state is allowed to have its own legislature that dictates the legality of online gambling or betting. Luckily, a number of states to allow racebook betting online and there are some amazing sites that can easily be accessed at any time. For those that reside in states that prohibit this form of betting, there are also off shore sites that will accept US bettors. While these are not operated in the US, they still offer great odds, superb betting options and layers of protection for anyone that is placing a real money wager. Why is Horse Race Betting Legal? Many bettors will have a difficult time understanding that this form of betting is legal. Some cannot see why this would differ from gambling at an online casino or betting at a sportsbook. The online gambling laws are murky to say the least, and they are very confusing to US residents. The Wire Act of 1961 was the first anti-gambling enforcement in the US and this was later followed by the UIGEA in 2006. 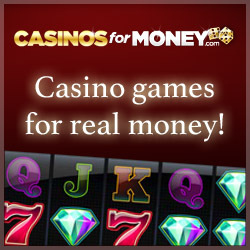 With UIGEA, it became illegal for any bank or financial establishment to conduct business with off shore gambling sites. While this did not make it illegal for US residents to gamble online, it did make it quite difficult to manage accounts. However, greyhound and horse racing are exempt from UIGEA. With that being said, online horse betting is completely legal and can be performed at a ton of US based sites. Some states are able to opt-out of the option to offer online horse racing. A number of states did choose to do this and residents in those states cannot place bets are any horse racing site online. Since online racebook betting is supported in most US states, there are little problems when it comes time to fund an account. After selecting a racebook that is deemed reliable and trustworthy, bettors will create their account and visit eh cashier to select a banking method. US based racebooks will always offer US Dollars as a currency and with some trusted methods available, all account information will be secure. Racebooks will support a variety of payment methods that can easily be used and these include wire transfers, credit and debit cards, checks or money orders, e-Checks and Green Dot Moneypak. The latter is a prepaid voucher that can be purchased at a number of US stores and retail locations such as Walmart and Walgreens. One will simply purchase a Moneypak with cash and redeem the voucher at the selected racebook. This is one of the safest ways to fund an account since no personal or financial information will be conveyed to the betting site. Avid horse race fans and bettors will enjoy knowing that they can securely place real money bets right from home on some of the greatest horse racing events in the world. By choosing a trusted racebook, one that has been in business for a number of years, the transactions will be securely processed. All banking transactions will be processed using 128-bit encrypted servers. With this, all credit card and ewallet details will be scrambled so that no unauthorised person can get their hands on important details. The information is stored in a secure database and is only used for future account management. Most of the racebooks that are based in the United States will have a security certification, which can be viewed at the site. This ensures that all money and data will remain safe. US racebooks will also be licensed and regulated in the state in which they are operating. For those that are choosing off shore racebooks, always ensure that these sites are also licensed as this can ensure protection for the bettor. Aside from the physical location, there is not much difference between betting at the track and betting online. All of the same betting options will still be available. However, there are some significant benefits to betting online. Most racebooks will offer bonuses and promotions that can offer cash back on losses, deposit bonuses and loyalty rewards. Since these cannot be enjoyed at a land based track, many bettors prefer betting online for the chance to get some free money in their accounts. No action will be missed by betting online as most racebooks have live betting and live feeds, so bettors can actually watch the races as they are happening. With easy betting options, great payouts and secure processing, online horse betting has become a preferred method for those that love the sport and cannot visit the track every day. With some reliable and reputable sites in the US, there are many legal ways to enjoy horse racing and win some superb rewards for small bets. Online horse race betting is one of the few forms of gambling that are completely legs; in the US and to cater to fans of the sport, there are many sites that are available, al offering great service, trusted banking methods and astounding action every minute of the day.